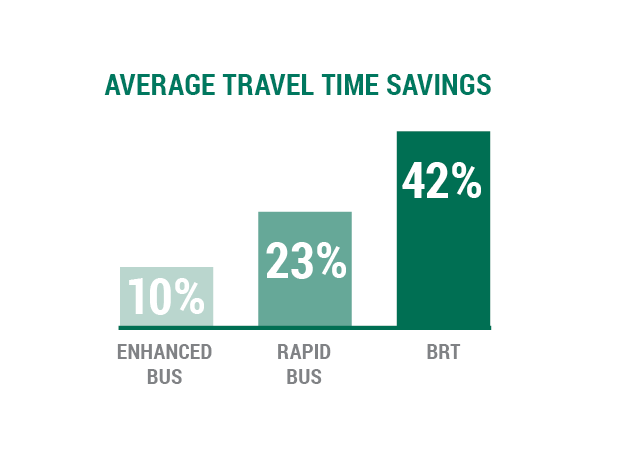 On an average weekday, about 100,000 people ride buses on AC Transit’s 11 major corridors, which carry over half of the agency’s total ridership. However, buses often get stuck in traffic and schedules become unreliable. 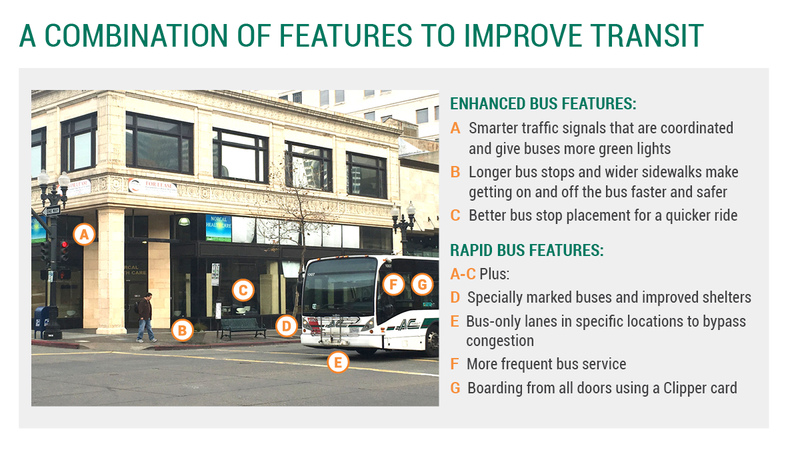 Population and jobs in AC Transit’s service area are forecasted to grow 30% and 40% by 2040, respectively, while roadway capacity in the area is expected to remain the same. 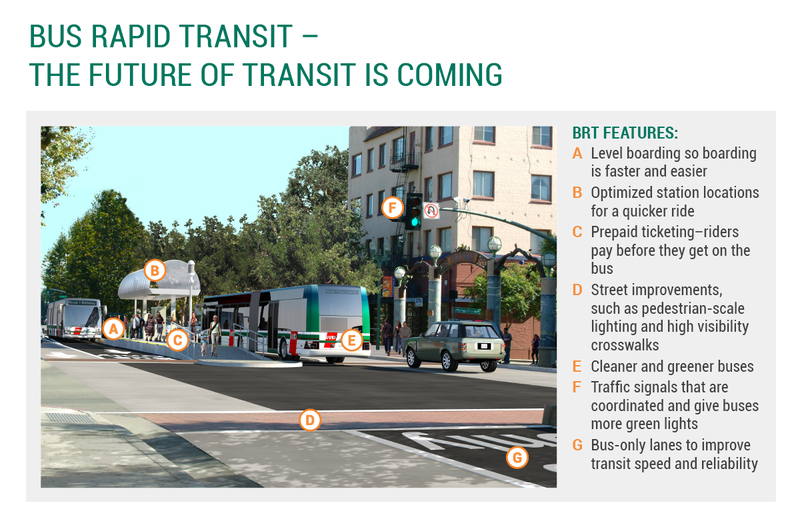 Travel forecast models estimate that the AC Transit’s system-wide ridership would double by 2040 even if no additional transit service or infrastructure investments were made.